It’s exciting times for students, starting a whole new era, perhaps in a brand new town or city. It’s a busy time and there’s lots of socialising and meeting new people to be done! 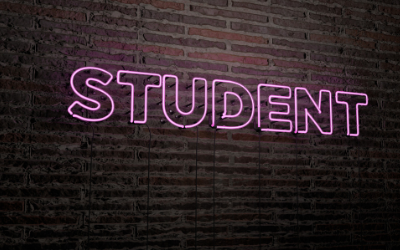 It can be hard to do everything you want to do though on a student budget, so we thought we’d share some great offers which you can take advantage of as you get stuck into student life in Halifax. For the next week, Frankie and Benny’s are increasing their student discount that is available all year round, so you get 25% off your food. Whether you fancy a pizza, the new vegan burger or a selection of starters to share with friends, all you need to do is show your student card to your server to get 25% off of your food bill for the whole table! Frankie and Benny’s are also extending their unlimited breakfast offer to students all week, not just at the weekend! So, every day until 30th September, you can reorder your breakfast as many times as you like until midday! If you fancy a cosy night in, you can order straight to your door with UberEats. Get a burger and a beer from a selected menu for £7.50! Check to see if your restaurant is offering this deal with UberEats here. You can still take advantage of these offers if you’re a returning student or go to school or college. JAll you have to do is download the vouchers from the website and take a valid student ID card with you to the restaurant. After all that partying, you might just fancy a trip to the cinema, comfy seats and a big tub of popcorn. Vue Cinema at the Plaza are still running their amazing deal where you can see any film for £4.99. If you’re free on a Monday night, make sure you take advantage of the Super Monday offer which means you can catch the latest films for just £3.99! Even outside of these deals you can get discounted rates at Vue. Just show your student card when buying your tickets or book online and show your valid student ID when you present your tickets at the venue. Broad Street Plaza’s very own resident gym, PureGym, is offering students 10% off no contract, monthly memberships, or up to 30% off fixed-term memberships! There is no joining fee for students for a limited time, making for a great saving. For instant access to your discounted gym membership simply register and verify your student status with UNiDAYS. There’s no need to miss home with all this fantastic choice of food, leisure and entertainment on your doorstep!